These 'Great Northern' class 3655s and 317s EMUs from Kings Cross use the long platform and the new Island platform and the bays at the south of the station. These class 365s are used on most of the trains to and from Kings Cross. Trains to and from Kings Lynn are split and rejoined here, with 4 coach trains between Cambridge and Kings Lynn for most of the day. 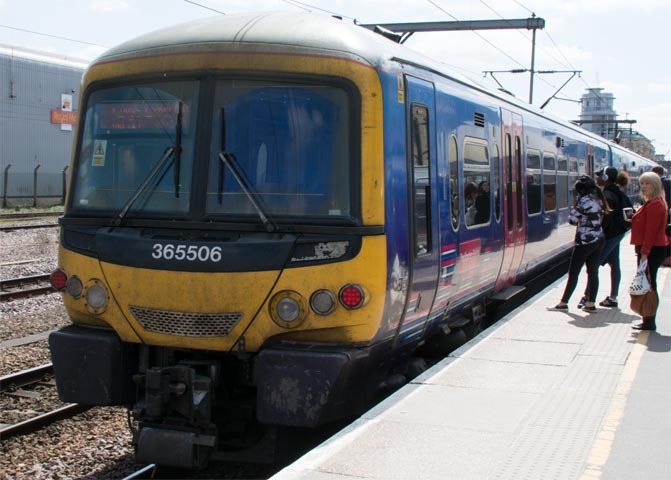 These Great Northern class 365s are also used on the Great Northern services to and from Peterborough from Kings Cross. Great Northern class 365530 in platform 1 at Cambridge station on the 19th April in 2016. This class 365 is still in its First Capital Connect colours now with a Great Northern logo, and is awaiting a repaint into Great Northern colours. In 2016 Cambridge railway station how not only has it long platform with a crossover in the middle with room for two very long trains. There are also bay platforms at each end of the station and it also now has a island platform as well. 'Great Northern' class 3655s and 317s EMUs from Kings Cross use the long platform and the Island platform. Trains to from Kings Cross to Kings Lynn are split and rejoined here, with 4 coach trains between Cambridge and Kings Lynn for most of the day. 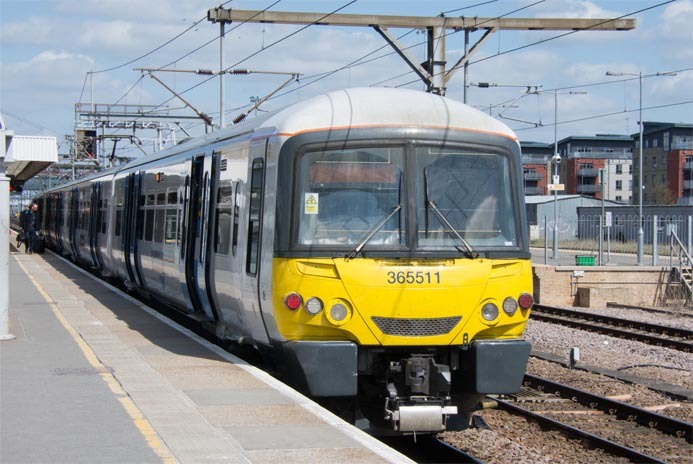 The bays at the south end of Cambridge station are mainly use by 'Abellio Greater Anglia' trains to and from Liverpool Street in London as well as its trains to Stansted Airport. 'Greater Anglia' trains were renamed 'Abellio Greater Anglia' in December 2013. 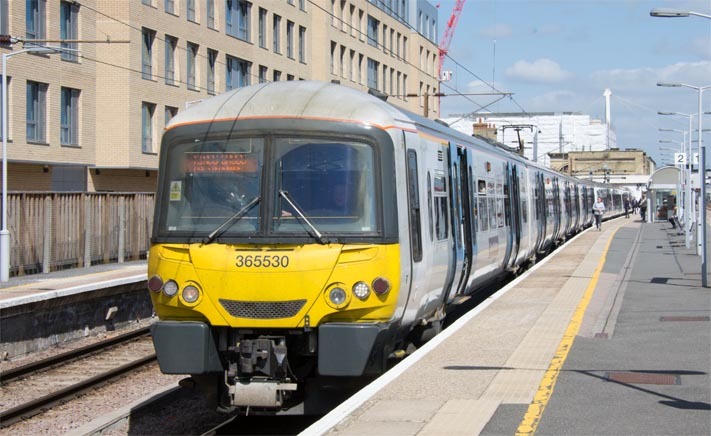 'Abellio Greater Anglia' trains to Norwich also use the northern bays. Their trains to Ipswich also use these northern bays. 'Cross Country' class170s from Standsted Airport to Birmingham use the main platform and the new Island platform when heading for Standsted Airport.